Say It Ain’t So, JetBlue! I’ve always been a big proponent of JetBlue, ever since it was launched in August 1998. It was one of a new wave of low-cost carriers that began rethinking the airline business model. Much of that thinking involved trying to satisfy passengers in new and creative ways, with a little fun rolled into the process. I still remember flying on JetBlue just before Christmas about 10 years ago and seeing Dave Neeleman, then the airline’s CEO, directing passengers to their check-in counter during a very busy period. He was out there on the frontlines helping out! That’s why it was so dismaying to me, and apparently to many other passengers, to see JetBlue’s announcement on Nov. 19 that it would be making some major changes that would address not customer concerns, but those of its shareholders (read Wall Street analysts). Now who wrote that? Could you make it any clearer that JetBlue’s concerns now are more about driving revenue than serving its passengers? The release went on to say that JetBlue expected to generate more than $400 million in additional annual revenue from its plan. Okay I get it: JetBlue saw all the money on the table that other airlines were earning in ancillary revenues and greed won out. It simply couldn’t ignore all that money, nor could it ignore the Wall Street analysts who were telling it to cash in. So what exactly did JetBlue change? Well, it’s really some of the major reasons why I fly the airline in the first place. 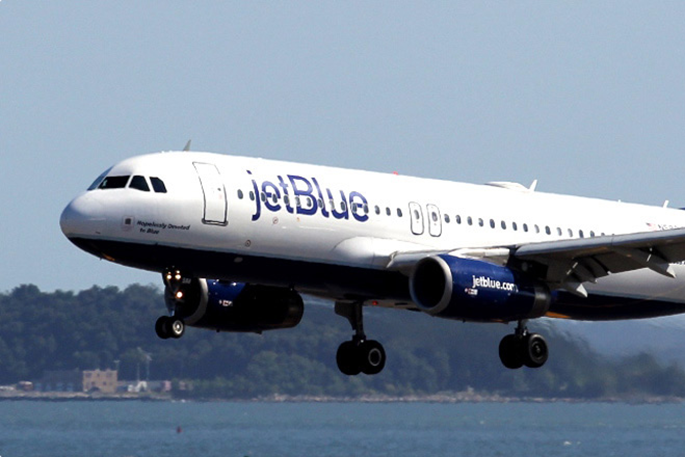 First, beginning in the first half of 2015, JetBlue customers will have to choose among three branded fare bundle options. The first is designed for those who do not plan to check a bag, while other two will include one and two free checked bags, respectively. What does that mean? Well, effectively if you get the first option you will have to pay an additional fee to check your bag (my guess is $25). The other two fare options, no doubt, will be pricier, even though you will get to check one or two bags for free. Now JetBlue was one of the last airlines to offer one free checked bag as part of the overall fare, a novel concept these days, but one that used to be considered normal just a few years back. The only other domestic carrier that currently offers free checked bags is Southwest—and that airline has been under extreme pressure to change its policy. Second, JetBlue says it will renovate its A320 aircraft with a “refreshed cabin,” which it claims will feature lighter, more comfortable seats—though there will be more of them. The airline claims it will be able to increase the number of seats on its aircraft while “continuing to offer the most legroom in coach.” We’ll have to see about that! One of the main reasons I fly JetBlue is the “laptop” factor: Can I open my 14-inch MacBook Pro when the person in front of me reclines. If I can’t, the airline fails the test. One of the great things of JetBlue, at least until now, is that it consistently passed the test. I didn’t have to upgrade to an extra legroom seat to get the space I needed to open the Mac and actually get some work done during my flight. I guess I’ll have to wait and see if JetBlue’s new seating configuration will allow me to do that, but I’m already very suspicious that it won’t. Third, JetBlue is deferring delivery of 18 Airbus aircraft scheduled for 2016-2018 to 2022-2023, which it said will reduce capital expenditures by more than $900 million. One of the great reasons to fly JetBlue in the past was that it usually flew brand new aircraft. Apparently, that may not be the case in the future. Fourth, JetBlue has been introducing its Fly-Fi Wi-Fi Internet service over the past year—and that’s something I’ve wanted for quite some time. The challenge is many JetBlue aircraft still don’t have the service. The benefit, however, is the Wi-Fi was astonishingly free! We all knew that couldn’t last. JetBlue says it is pursuing “a unique new monetization strategy,” including partnerships with Verizon, the Wall Street Journal and Time, among others. The good thing is the airline says its entire Airbus fleet is expected to have Fly-Fi in the first half of 2015. I guess the most curious thing is why JetBlue feels compelled to make these moves. In its third quarter report, the airline recorded an increase in operating income to $164 million, compared to $152 million in the same quarter last year. It also recorded net income of $79 million, compared with $71 million in the same quarter in 2013. It’s not like JetBlue is losing money! But I guess it isn’t making enough money for some folks (read Wall Street analysts) and some shareholders. Now I’d love to say I’m going to boycott JetBlue and start flying other airlines, now that JetBlue has apparently “sold out” and become a less customer-focused airline. But unfortunately there really isn’t any other airline to turn to these days that doesn’t have free checked bags or roomier seating. Yes, Southwest is still out there, but they don’t serve a lot of markets that I need from my New York base. So I guess I’m stuck with flying JetBlue (when the fare is right), but I certainly won’t be giving the airline the same kind of loyalty I did in the past. Yes, I’ll still fly them, but I’ll always remember a time when they seemed to be the less corporate, fun and innovative airline, the upstart in a market full of lemmings. And I guess it will be that way until another new airline emerges in the market that has the brilliant idea to put customers first again.